Gutenberg is a modern framework that helps your web pages print correctly. It can be used to hide elements to be printed. It also provide two ways to break a page. With Gutenberg, you can force print the backgrounds of your pages. 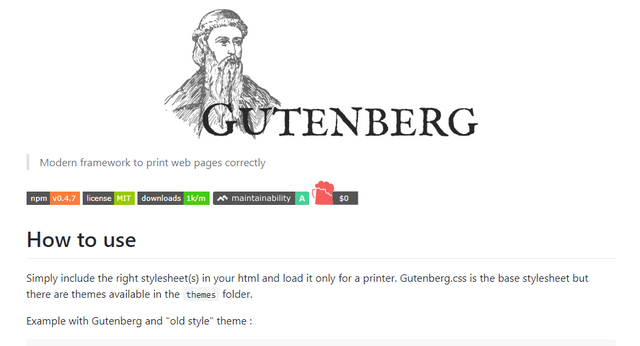 As developers, visit the GITHUB download and know about the funtions of Gutenberg. Great hunt @naijaguy! This hunt has been verified and approved by the Steemhunt Moderation Team. Great job! Happy hunting.